CWC Recruitment 2017 Job alert both Fresher and Experienced can get CWC recruitment 2017 updated on December 4, 2017, notification on recent CWC recruitment 2017 openings across India. 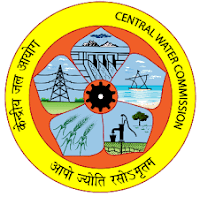 This is an exclusive page updated on 04.12.2017 for the latest recruitment notification from Central Water Commission CWC 2017 it contains both active and recently expired Job openings and recruitment notification from CWC 2017. How to Apply CWC Vacancy: Interested candidates may apply online through Website www.cwc.gov.in. Candidates must submit the print out of application along with one self-addressed envelope send to Superintending Engineer, Hydrological Observation Circle, Central Water Commission, 2m and Floor, Narmada Tapi Bhawan, Sector- 10 A, Gandhinagar, PIN – 382010 on or before 29.12.2017.